McWane Team Members across the Company Attend National VPP Conference | McWane, Inc.
Posted on September 3, 2015, in Events and tagged conference, Manchester Tank, Manchester Tank Quincy, McWane, McWane Ductile Ohio, McWane Ductile Utah, OSHA, team members, Tyler Couplings, VPP, VPP Star, VPPPA. Bookmark the permalink. 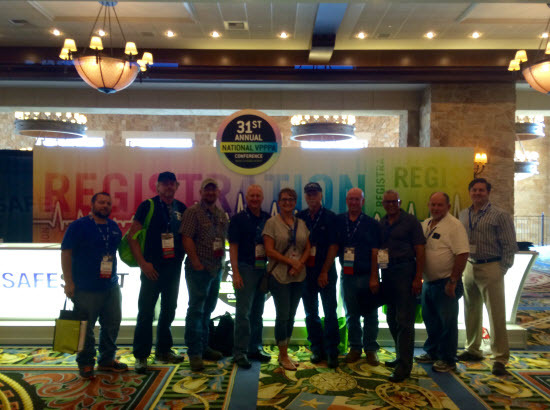 Comments Off on McWane Team Members across the Company Attend National VPP Conference.